Trying to attract new talent? Time to break away from cube farm hell and shake things up a bit. Today’s workers want to be able to move around. They want to collaborate. They want to sit with their coffee and laptop and work away from their desk. Dream jobs are hardly enough these days. Dream spaces help. It’s time to analyze your workplace design. If you have to be tied down to a desk all day, you should at least have options! Sit for a while, stand for a while. There are desks that lower and lift themselves with a touch of a button. Need to stand and stretch those legs? No need to stop what you’re doing, honey! Team meeting time or just having a brain dump session? Conference room booked? Introducing a comfortable lounge area can get those wheels turning in an informal collaboration space! Break up the rows of desks with small get-a-way focus spaces. Areas that mimic a typical coffee shop with café seating and charging stations are super popular. Sometimes changing spaces from your desk to another location can shake things up and spark some creativity and clarity when it is lacking. Add in a cup of joe and there are no excuses to finish that report before the end of the day. Writing on the walls used to be against Mama’s rules. But not with a glass wall! Attractive and functional, glass walls let light through while providing ample space for notes and loud ideation sessions without disturbing everyone else on the floor. Open floor plans lack one main thing: privacy. Sometimes you just have to take a call and you don’t want your neighbor to hear your conversation. Step inside the sound proof booth and scream if you must! No one will hear you. Just keep from gesturing wildly and you’ll be free of the crazy looks. Cheers! Need help up planning or updating an office? That’s why we are here. We love a good consultation! 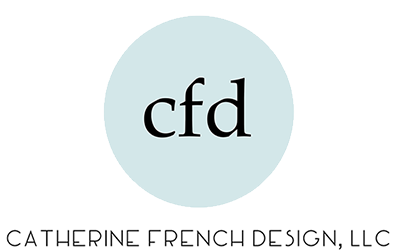 Give us a shout at hello@catfrenchdesign.com and we will book you today.